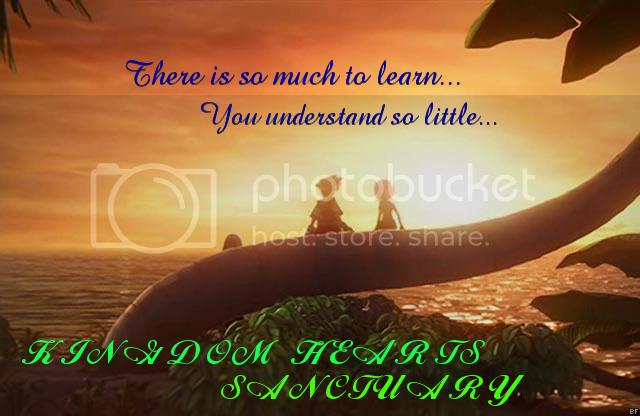 Kingdom Hearts Sanctuary » Post Box » Important Stuff » Competition! I've yet to decide what the prizes will be, but whan I know I'll post it here! So check back often! Draw, cut and paste things but something interesting and KH related please. Line art will be accepted, but it must be inked and be clear, I will do the editing and colouring if need be. Alrighty! --THIS IS NOT CONCRETE!-- The prizes are subject to change! A specially drawn picture (by me) of your character! A chance to be a Moderator! im baffled by the prizes. 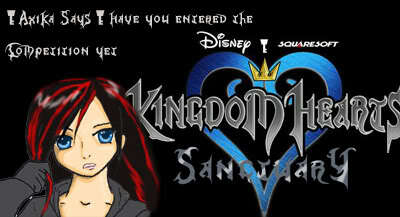 how would you get a KH plush out? with the magical force of NON INTERNETTICAL MAIL. Axika wrote: Yes. The winner will secretly tell me the place where stuff will be sent!!! ot to mention I will MAKE the plush. I'll make a few and post pictures. Then people can choose which they want. Also! You can enter the comp as many times as you like. The judges are myself and Leon. Yes, I have noticed that, but I didn't make the logo.... Maybe I should put in a new comp? "Shiny new logo!" What do you guys think? Uh-huh. Shiny always please KH fans, i have noticed. Holy moly that is awesome!!! You are definitely in the lead!! Whoo! May I ask what program you used to make it? I use this as an expert! Plus, does anyone know how to make a code for it??? Now we gotta post these codes every where!!! Well copy the code I have there. One question though.....What chances do i have against all the multi-pictured moving banners?? Well it depends on how good yours looks. Sometimes simple works but there are heaps of tutorials out there to help you get better at Banner making. I have to look up more things too so I can get better. Because I like stamps (don't judge me), I decided to make a set of them. 8D Immatard. Yay! I'm back from my vacations! !